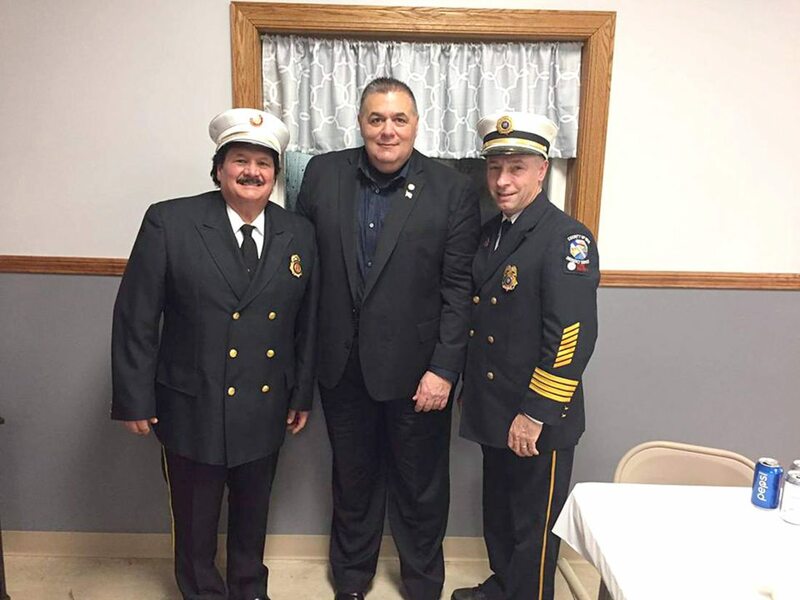 Pictured are Nick Crassi, left, as the Gowanda Fire Department Chief, with guest speakers for the installation dinner: Chris Baker, Cattaraugus County Director and Fire Coordinator; and Tiger Schmittendorf, Erie County Deputy Coordinator of Emergency Services. GOWANDA — The Gowanda Fire Department had its installation of officers dinner recently with Assemblyman Joe Giglio (R-Gowanda), Mayor David Smith, Cattaraugus County Director and Fire Coordinator Chris Baker and Erie County Deputy Coordinator of Emergency Services Tiger Schmittendorf, all attending at the Gowanda Volunteer Fire Company building. 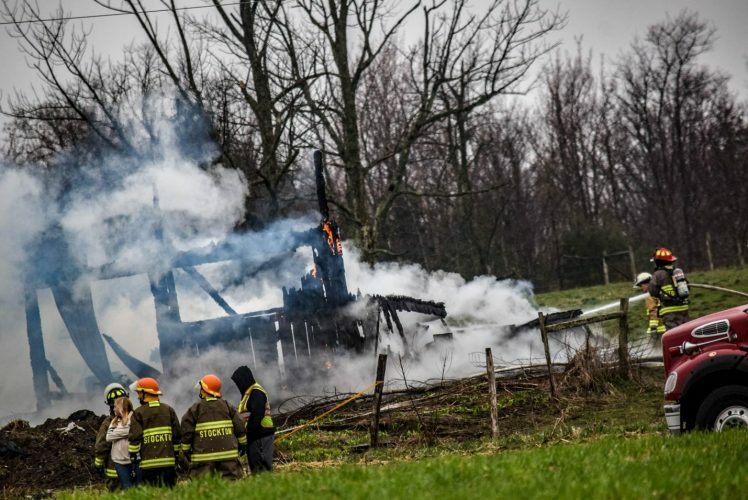 The Gowanda Fire Department Chief for 2018 is Nick Crassi, while the first assistant is Mark Hebner and the second assistant is Steve Raiport. Randy Campbell is president.